OBVERSE ATTRIBUTES: The Nostril and the Eyelid are doubled; and the Obverse Legend, LIBERTY, is tripled. There is a patch along Liberty's Jaw that has significant die file line action and creates a "Sagging Jaw" appearance. Markers: None. REVERSE ATTRIBUTES: A feather has been engraved between the Eagle's Right Wing and Leg. Marker: A short diagonal die file line can be seen in Wing/Neck Gap (Crook). NOTE: This is a Top 30 1878-S Morgan Variey. This coin has all of the attributes associated with the VAM-31. While this coin certainly appears to be a VAM-31, my Page Heading notes this as a Variety Not Certified (VNC) as it has not been certified by the PCGS, NGC, or ANACS as a VAM-31; nor has it been confirmed as a VAM-31 by the VSS. 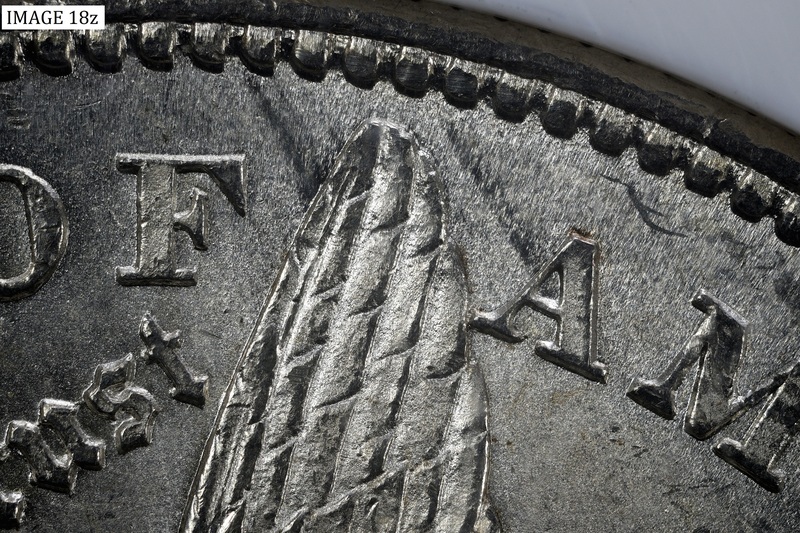 A gouge can be see above the first U of the second word of the Obverse Motto, E PLURIBUS UNUM. There is a feature that is seen running from the Rim to the top portion of the Eagle's Left Wing and another running from the Rim to the A in the last word of the Reverse Legend, UNITED STATES OF AMERICA. These are Feeder Finger scrapes that have not reached gouge status. It is my understanding that the scrape running to the A is a bit older than the one running to the Wing and would be first to reach gouge status if the die was not retired before that status had been reached. 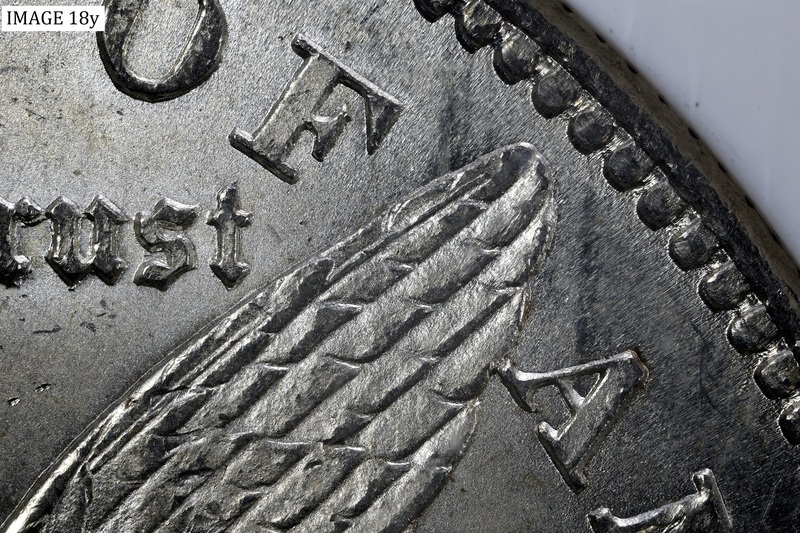 If the die remained in service, later mintage coins would most likely have Feed Finger Gouges. Please see Image 18y, Image 18z, Image 18za, and Image 18zb, in the Section entitled Photographs of Special Interest. 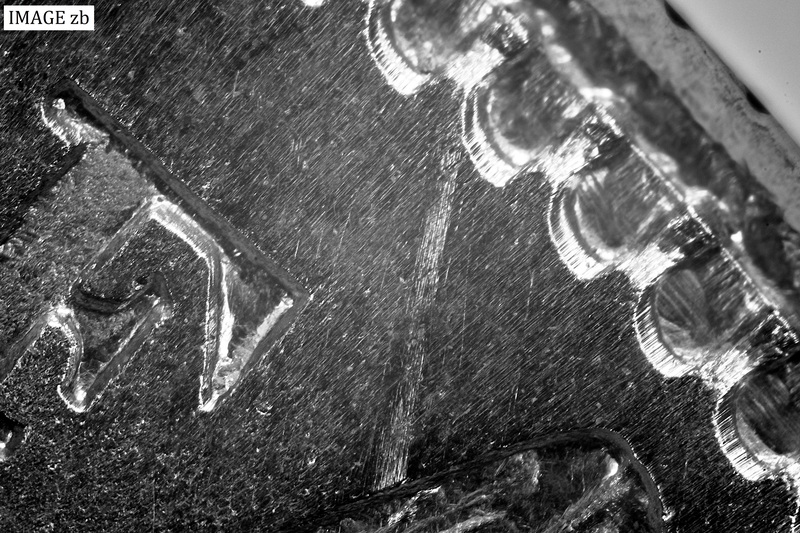 The Mint Mark is notched at the top right corner, which suggests it is a Repunched Mint Mark. 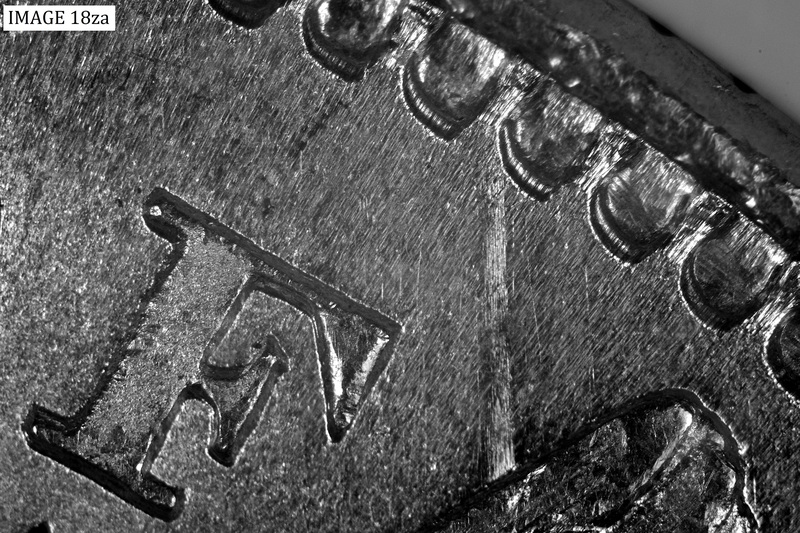 However, there is no mention in the Basic Description or Details that suggest that the Variety actually is recognized as having a Repunched Mint Mark. Comment: Tripled LIBERTY. Capturing LIBERTY was difficult due to the condition of the NGC Holder. Comment: Doubled Eyelid. Comment: Doubled Nostril. Comment: Die File Lines - "Sagging Jaw". Comment: Engraved Wing Feather). Comment: Engraved Wing Feather - Different Angle. Comment: Short gouge located in the Wing/Neck Gap (Crook). (Arrowed). Comment: Gouge - Different Angle. Comment: Gouge Above M. Comment: Notched S/S Mint Mark.